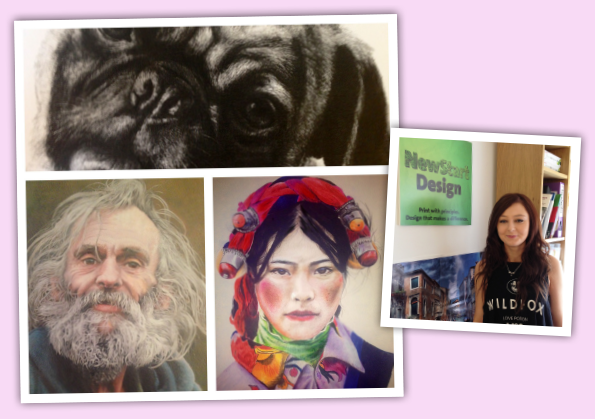 Katie Hodgson joined New Start Design on a graphic design apprenticeship back in November last year and has proved herself to be a very talented, hard working and valuable member of the team. Katie will be leaving us at the end of the month as she has been offered a place at Leeds College of Art to study Art & Design. We would like to thank Katie for all her hard work during her time with us and wish her all the best for her very bright future! I’m sure that in a few years time she will be exhibiting her amazing work in galleries across the country! So watch this space! 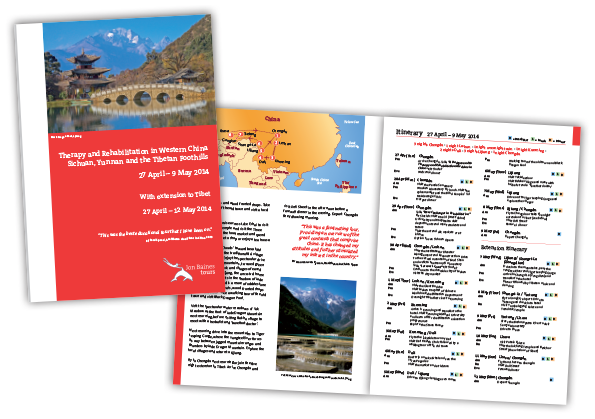 An 8 page, A4 brochure for Jon Baines Tours containing information about their Therapy and Rehabilitation in Western China: Sichuan, Yunnan and the Tibetan Foothills tour taking place in April 2014. 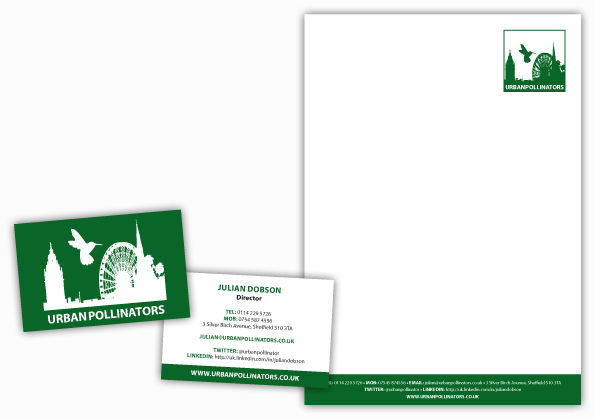 Design of an A4 letterhead and double sided 85mm x 55mm business card for Urban Pollinators. Branding design for Urban Pollinators including a logo, typeface and colour palette. 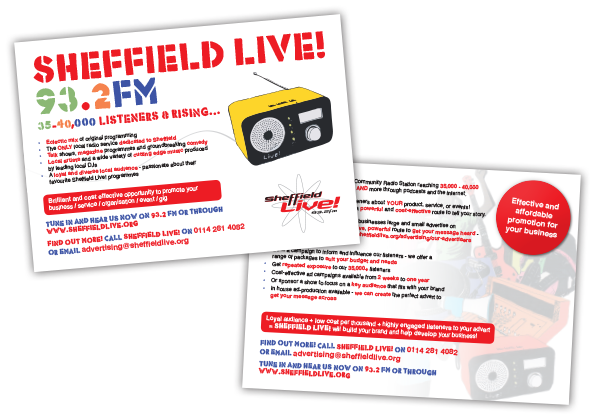 A branding guidelines document was also provided to show how the identity should be used. 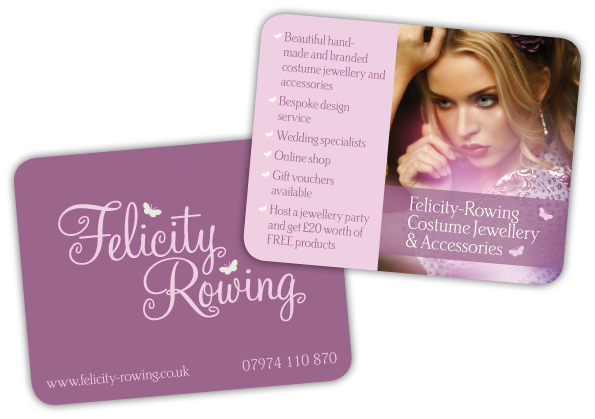 An 110mm x 85mm leaflet for Felicity-Rowing to promote their costume jewellery and accessories, finished with 10mm die cut rounded edges. Featuring a logo design by renowned illustrator Lydia Lapinski of Kipi Ka Popo. 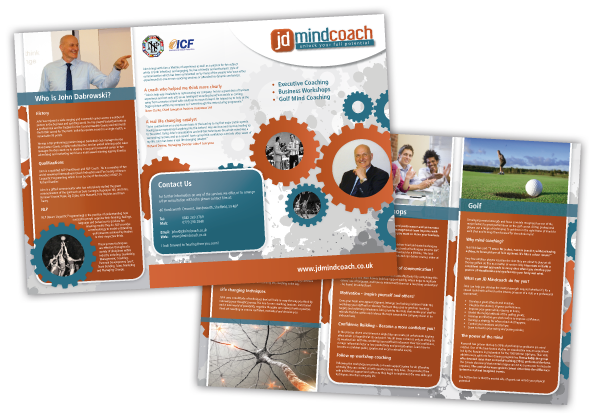 An A3, roll folded brochure for John Dabrowski (JD Mind Coach) to promote his executive coaching, business workshop and golf mind coaching services.